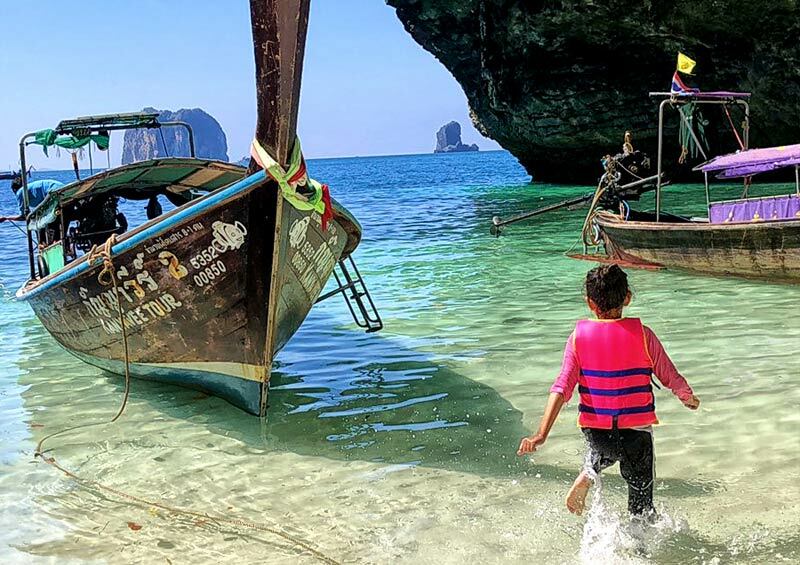 4 island krabi :: This is the most popular tour in Krabi and Aonang, because if you are booking sharing boat by long tail boat. 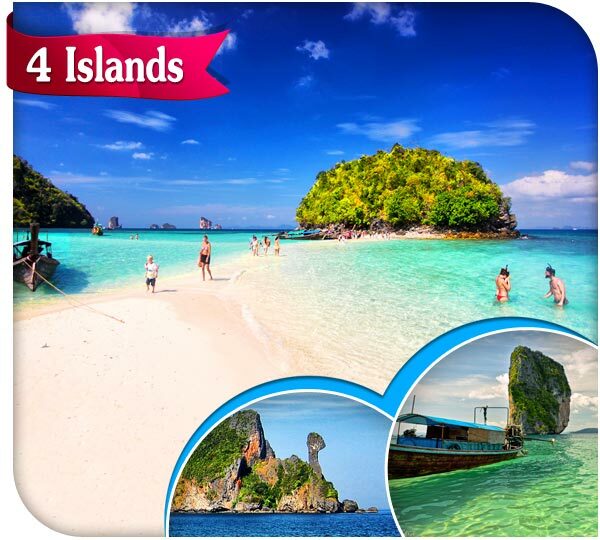 Four islands is impressive please and cheapest price. But if you are looking for privacy! Private long tail boat is the best choice for you. 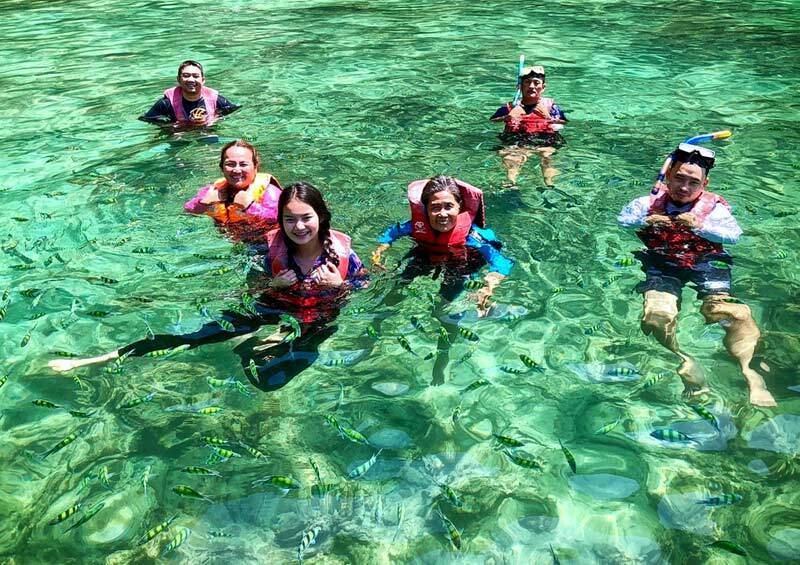 4 island tour krabi : Amazing separated sea, beautiful Beach and rock island. 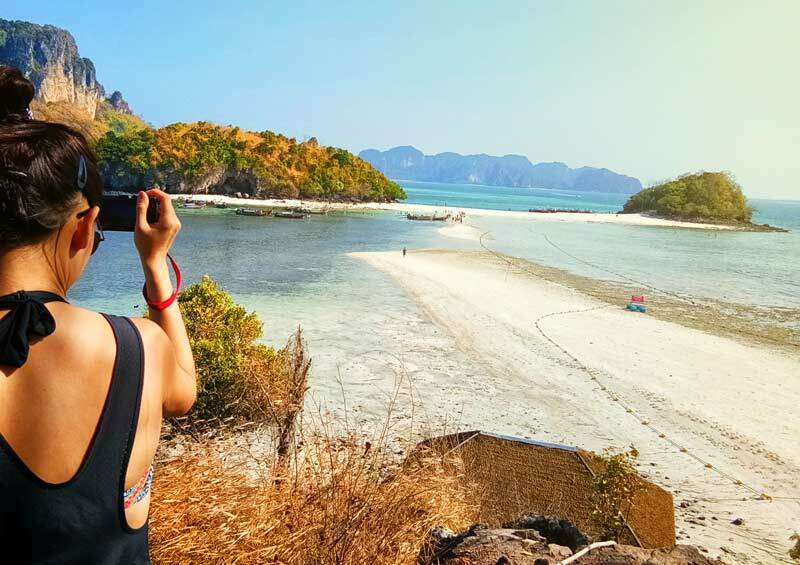 Poda Island, lovely white, sandy beach, ideal for sunbathing, swimming and enjoy great underwater adventures, exploring colorful corals reef and fish. 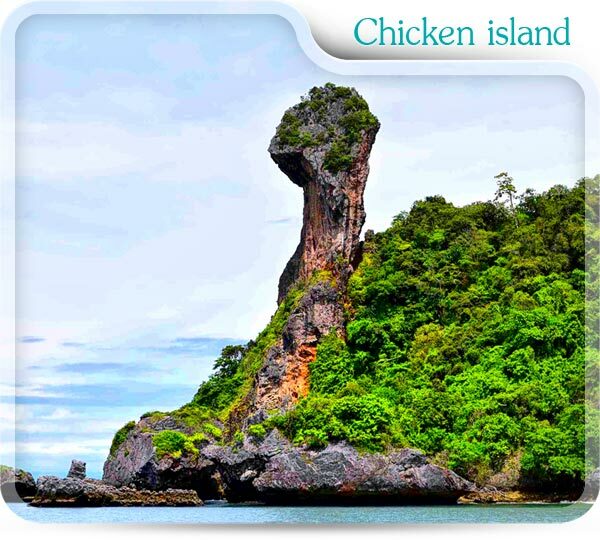 Chicken island : Unforgettable island the shape look like chicken or someone see that shape same like handle of a cleaver or pop-eye in cartoon. 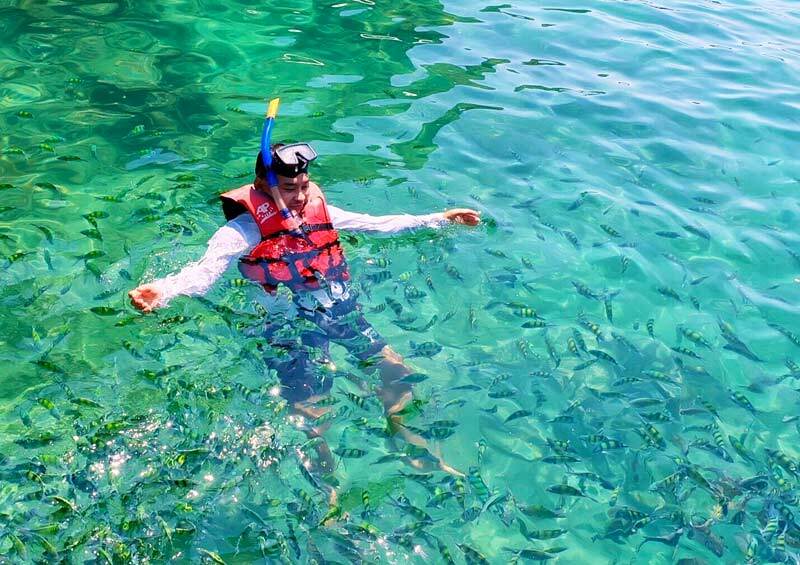 This is snorkeling point for 4 Islands trip. Too many corals reef and fishes there. 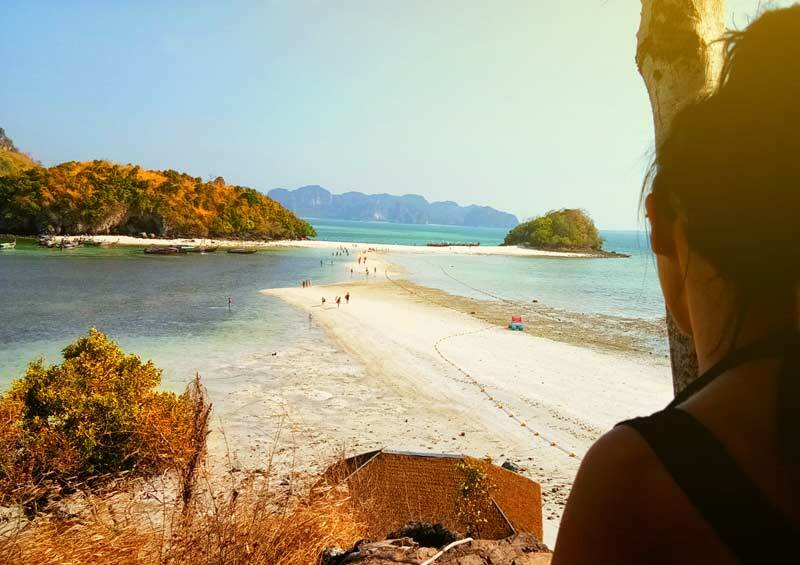 Tub island : This island is one in three island group, it’s name “Talay waek” or separate sea ( by the sand ) in English meaning. When low tide, Tub island, Mor island and Chicken island are connected. 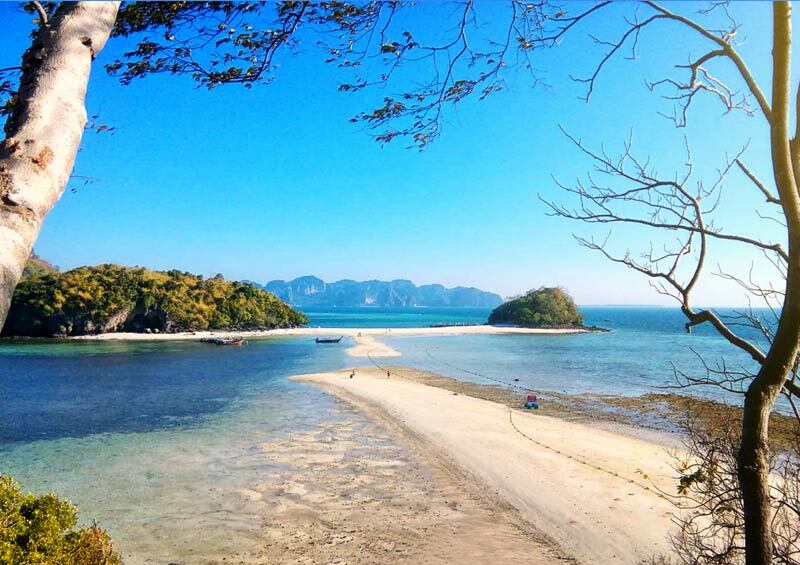 Poda island : is one in the islands group opposite Aonang beach. 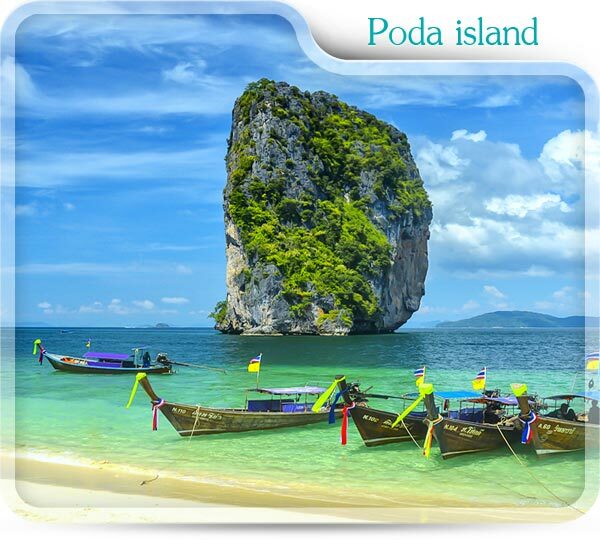 And can be distinguish by the size, Poda island is biggest island in that group. 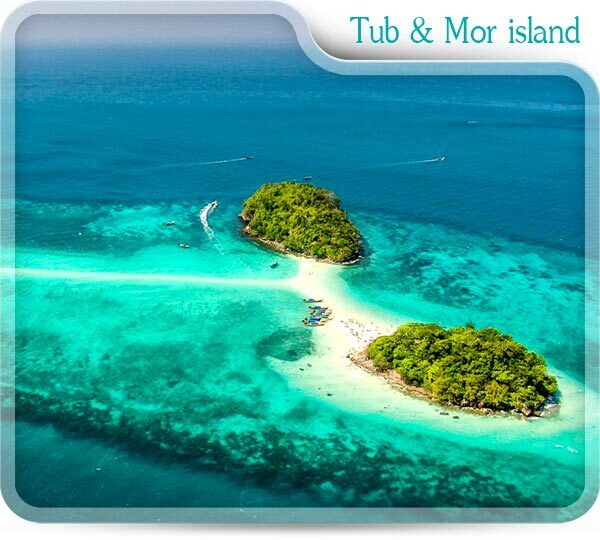 Nearby Poda island are Tup island, Mor island and Chicken island. 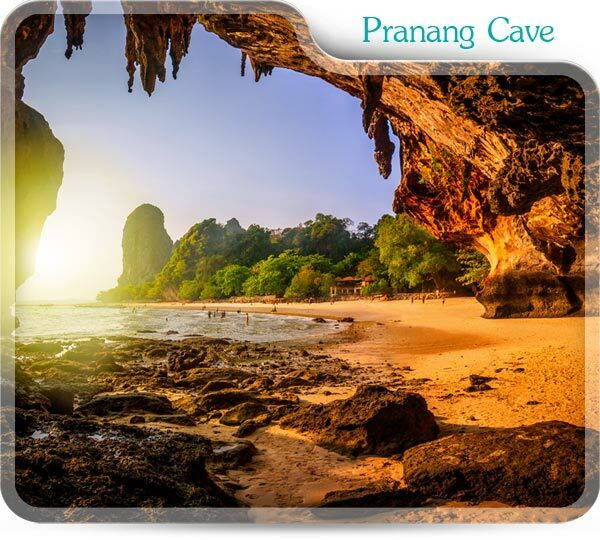 Pranang cave : is small cave on Railay Beach Krabi, in side there has stalactites and stalagmite but not to much, At out side of the cave has some small shops. For food, drinks and souvenir. 08.30 am. >> Pick you up from your hotel in Aonang or Krabi town. 09.00 am. 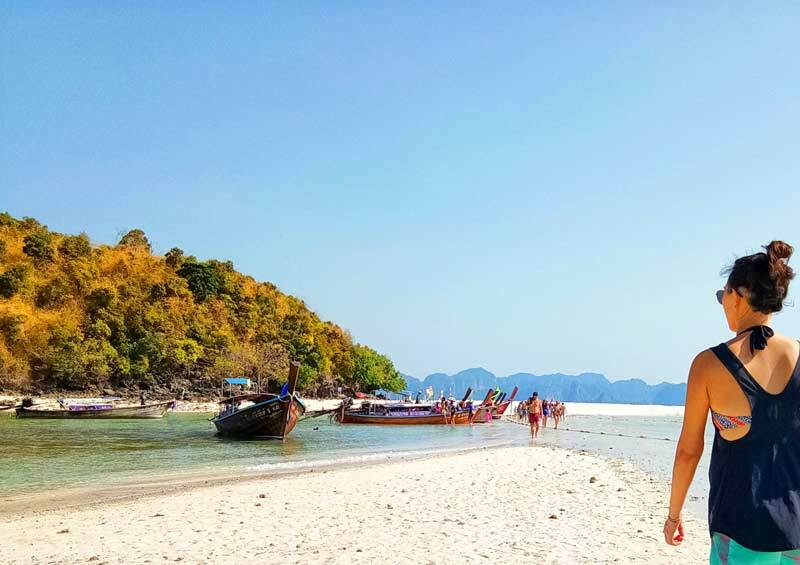 >> Get on longtail boat / speed boat to sand banks Talay Waek at Chicken island, Tup island and Mor island. 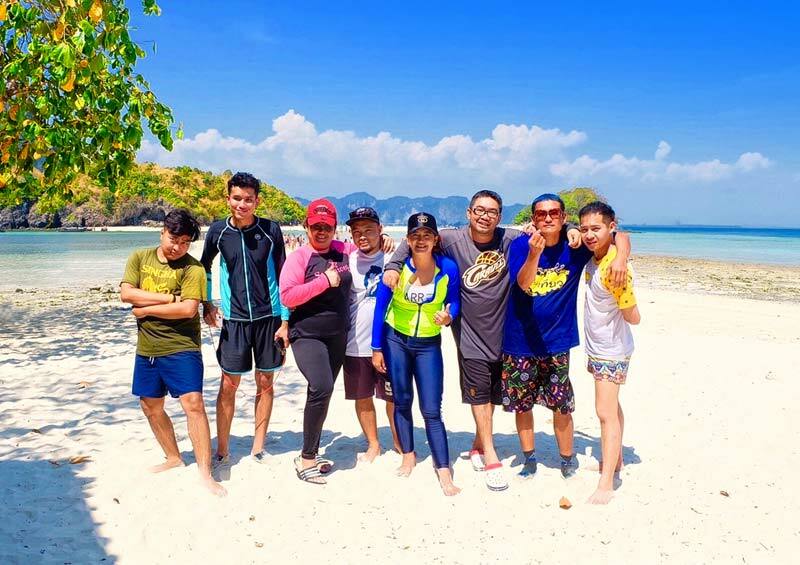 10.00 am >> Swimming and snorkeling, Seeing the many kinds of fishes at Chicken Island and also taking picture with the beautiful background. 12.20 pm. >> Have a picnic lunch on Poda Island. 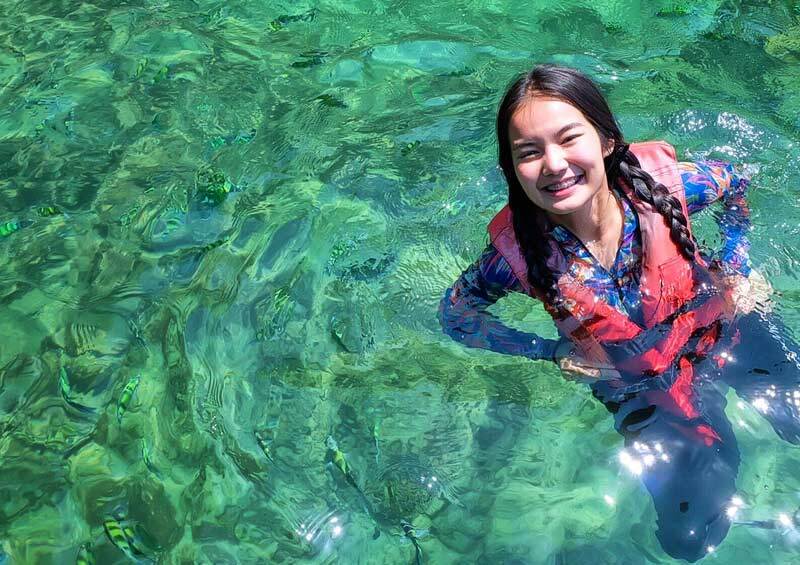 Swimming and free time for sunbathing on the white sandy beach. 01.00 pm. 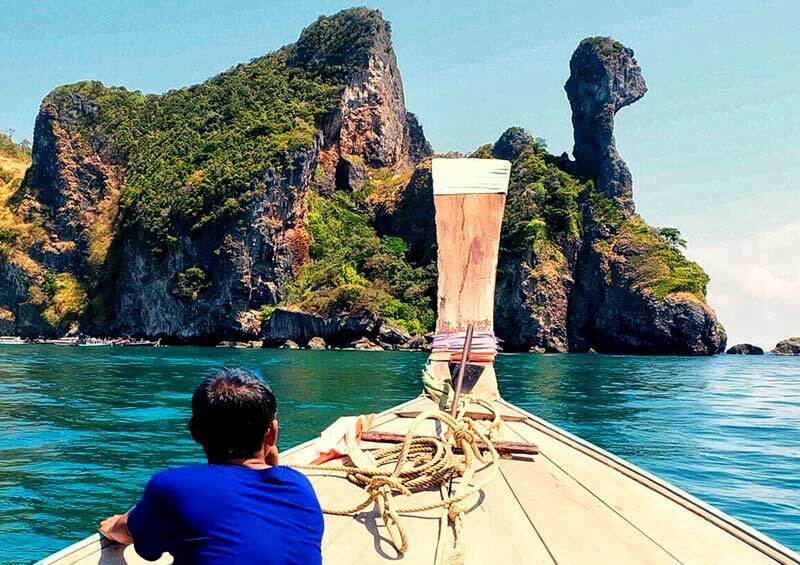 >> On the return back we will stop at Phra Nang Cave and Railay Bay. 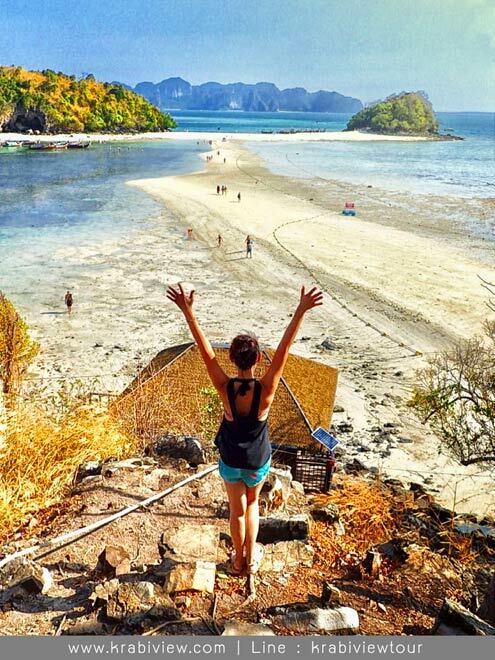 Please enjoy taking pictures with climbing and walking on the beach. 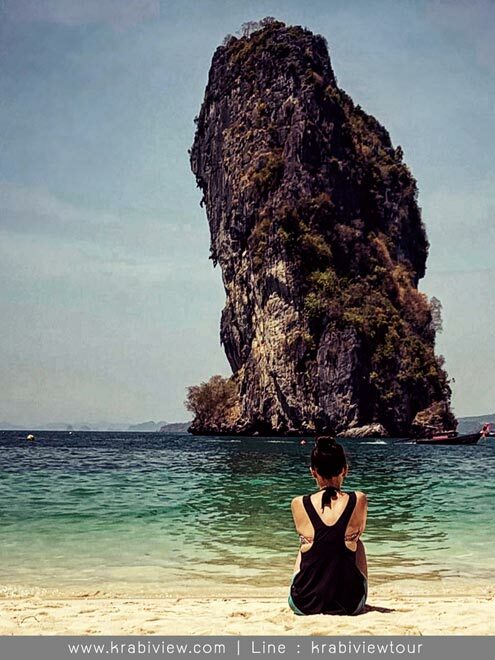 Railay Bay is located in the very famous rock climbing in Thailand. 02.00 pm. >> Go back to the pier and then transfer you back to your hotel. * The trip is subject to change depend on the local weather. For most your Satisfaction. 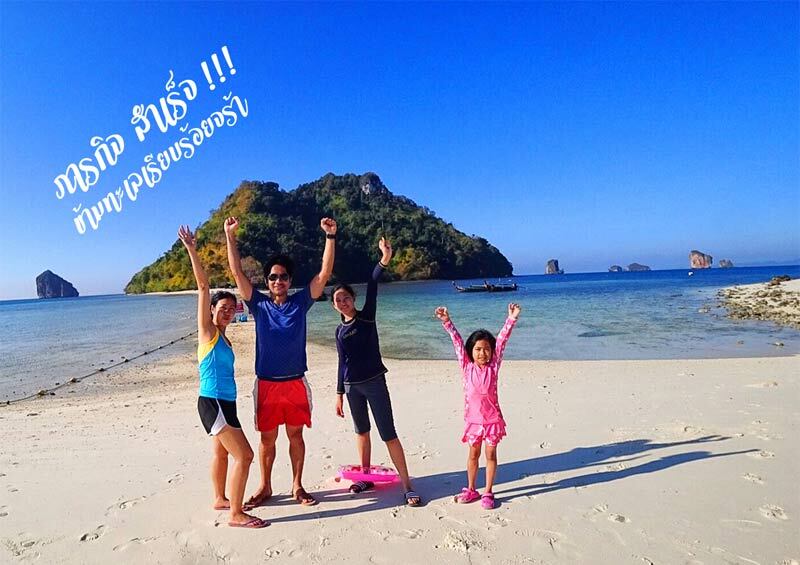 * Free transfer service for hotel in Ao nang beach, Krabi town & Nopparat Thara beach only. * The booking is requested for deposit 50% of the total price and pay for the rest of balance by cash on tour. * New Low from New Government for Island Trip. Have to Pay National park fee to authorities when you reach there by yourself. Sunscreen, Sunglasses, Camera, Hat, Towels, Swimming suit and some budget money. Some review from our tourist with 4 Islands program. 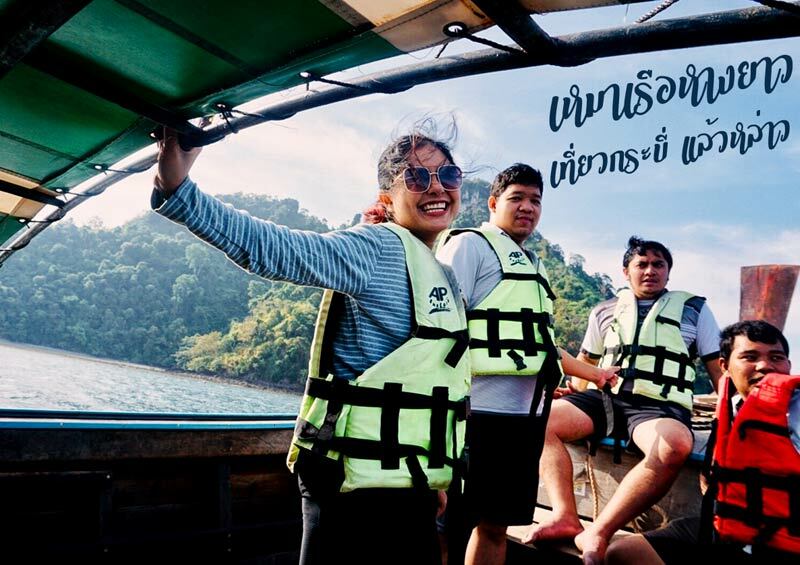 They booking private long tail boat from Aonang to Talay wake, try to go !! !